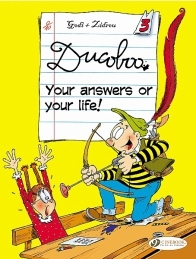 The adventures of the most adorable, brilliant, and universally appreciated dunce of the graphic novel world. 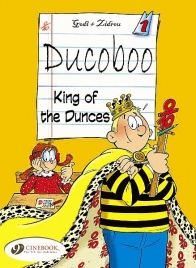 The pupil Ducoboo is nice and a joker, but also a notorious dunce—a “quality” that is no bed of roses…One must be awfully resourceful to avoid the humiliating dunce’s cap! 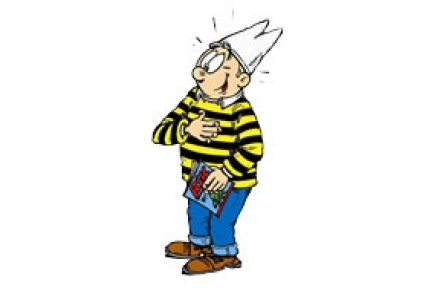 But Ducoboo is brimming with imagination…. 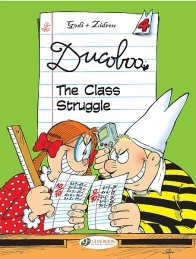 Through gags, some stranger than others, this series champions values such as friendship and the right to be different, and tackles subjects such as boy-girl and parent-child relationships. 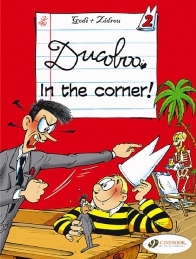 Ducoboo 2 - In the Corner!